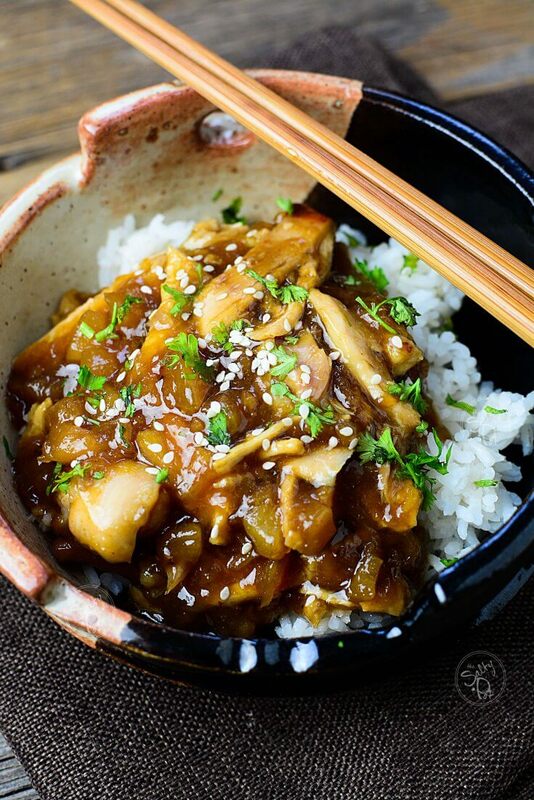 This Slow Cooker Pineapple Teriyaki Chicken recipe is scrumpdillyicious!! Of course, I doctored up the bottled teriyaki sauce because, you know, I just HAD to. ….And it was WORTH IT! You are going to be pumped when I tell you how easy it is to make slow cooker pineapple teriyaki chicken! It is loaded with tangy teriyaki sauce and sweet crushed pineapple. I promise when you sink your teeth into this moist chicken it will be hard to not eat up every morsel. You know how much I love to cook and you know I”m all about the ‘SIMPLE’. I love food that is flavorful and in this case, the simplicity comes from allowing me time to do other things while it is cooking. Why? Because I use my slow cooker a lot! Just set it, forget it and boom it supper time! I used bone-in, skin on chicken thighs for this recipe. Clean them up, wash and pat dry, then season them up! Do I HAVE To Make Slow Cooker Pineapple Teriyaki Chicken With Chicken Thighs? No, you can get any kind of chicken you have on hand or whatever you prefer! (I wouldn’t use wings though.. just not enough meat! LOL) I love using chicken thighs because they are so moist and tasty. I prefer darker meat and thighs tend to have more healthy fat on them. I used the bone-in ones because I find when cooking chicken on the bone, it lends a lot more flavor to the meat. Plus, you can usually buy chicken thighs for pretty cheap, and you know me, I am always up for a bargain. 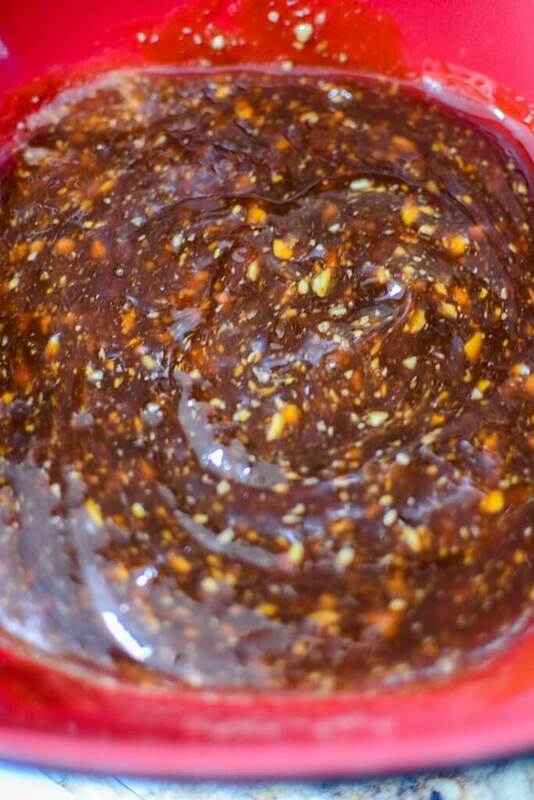 Mix up the teriyaki sauce along with the other ingredients!! Add the pineapple and PART of the teriyaki sauce. Cook on low, or high, depending on how much time you have. Can I Bake This Teriyaki Chicken Recipe? Yes, you can bake this teriyaki chicken recipe if you would prefer. Preheat the oven to 425 degrees F. Bake in a 9 x 13 pan for approximately 30 minutes or until the chicken is done. The best way to tell if the chicken is done is to take the internal temperature and make sure it registers 165 degrees F.
Yes, but you want to pay attention to how long and what temperature you cook the chicken at. If you slow cook, and cook the chicken much longer than I recommend in the recipe instructions you can expect it to be much drier. It will still be really tasty, but just a bit dry. And then, you won’t want to eat leftovers if it is already dry the first round! Serve on rice and enjoy! What Should I Do With Leftover Pineapple Chicken? Leftover pineapple teriyaki chicken is almost as good as the first time you make it because it gives the juices and seasonings extra time to blend together. This meal is terrific if you like to meal plan and makes a great lunch. 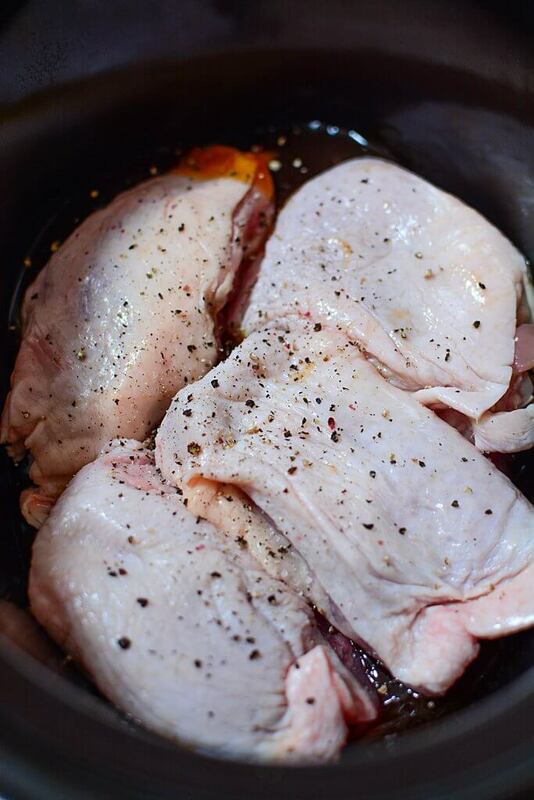 If you are considering making the chicken ahead, store it in a glass container with compartments, and you can heat it up quickly. Serve teriyaki chicken and rice in a bowl made from a halved fresh pineapple. Remove the fruit and fill it with this tasty meal! No one will be able to resist this goodness. Toss in some onions and peppers when you are putting ingredients in the slow cooker. It is surprising how good these vegetables tasted when paired with the sweetness of the pineapple. 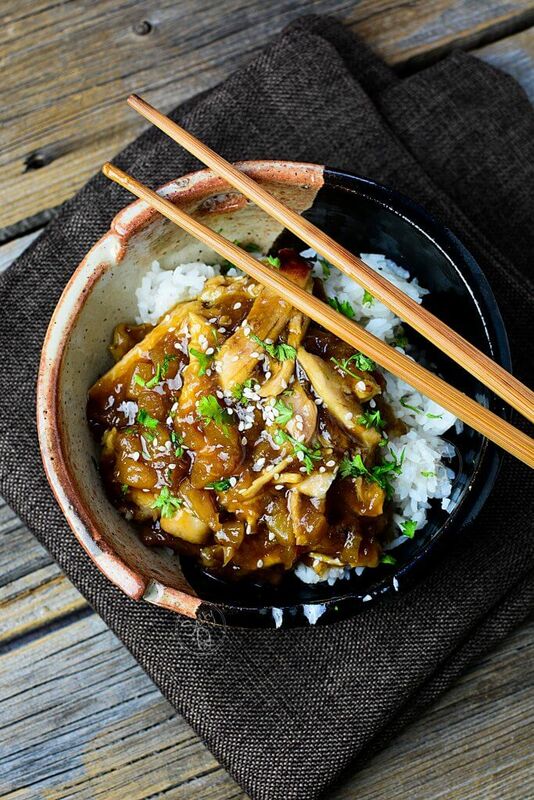 Add mushrooms because they are always a great combination with teriyaki sauce! Grill some fresh pineapple and use as a garnish on top. It is out of this world amazing! Broccoli is healthy and a great way to add nutrients and flavor to the dish. Make it a wrap! If you are looking for a scrumptious lunch idea, use a wrap pile the pineapple teriyaki chicken in there with some rice, wrap it, and gobble it up! There are so many possibilities with this pineapple chicken recipe so go wild with it. 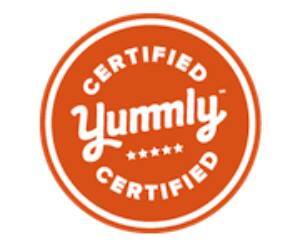 If you think there is an ingredient that would taste good in it, toss it in and give it a shot! You never know what gorgeous and delicious creation you may come up with. I love to serve this slow cooker chicken to a crowd because everyone goes crazy for it. When you make this incredibly delicious slow cooker pineapple teriyaki chicken recipe, please comment below and let me know what you thought! Did you switch it up some? How did you serve it? Let’s hear about it! Thanks so much for stopping by The Salty Pot, and I hope you have a wonderful day!! 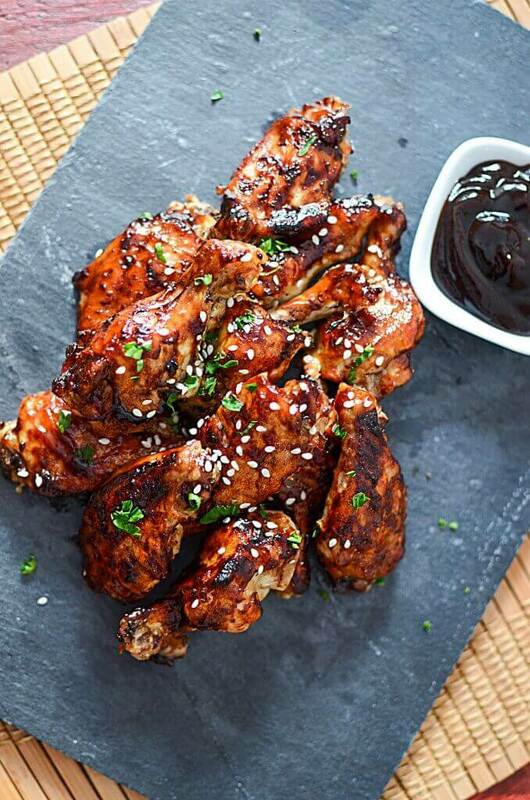 These beautiful teriyaki chicken wings are also made in the Ninja Foodi! Check out the recipe! A super delicious (and so easy!) slow cooker teriyaki chicken recipe using succulent chicken thighs!! Also, the convenience of using a prepared sauce makes life so easy, but you gotta know I had to doctor up the sauce to make it perfect!! Season with salt and pepper and place into the slow cooker bowl. 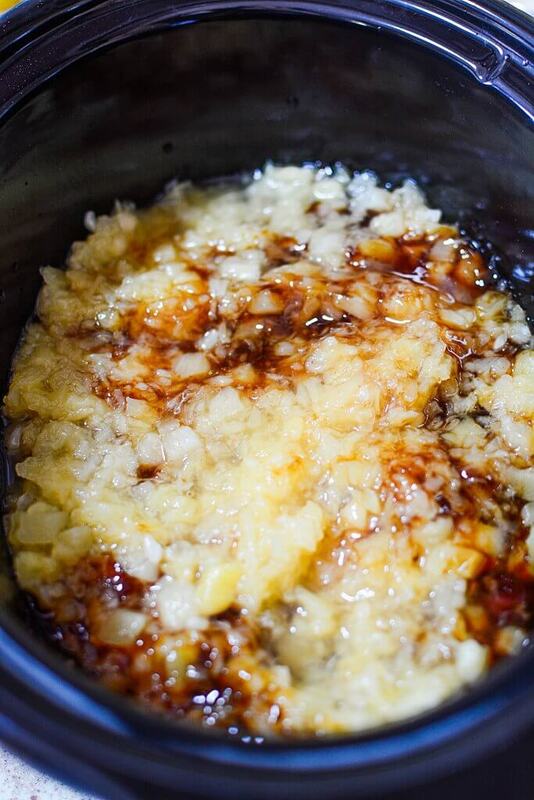 In a bowl, combine the teriyaki sauce, ginger and garlic. Mix together well. 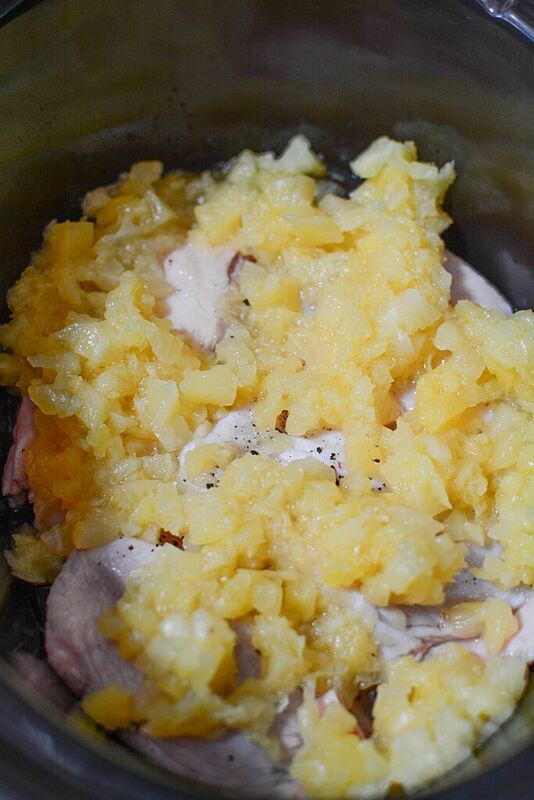 Transfer half of the sauce on top of the chicken followed by the crushed pineapple. Cook on low for 6 - 7 hours and high for 4 - 5 hours. After the cooking time is up, remove the chicken pieces from the cooker, and separate the bone and skin from the meat. 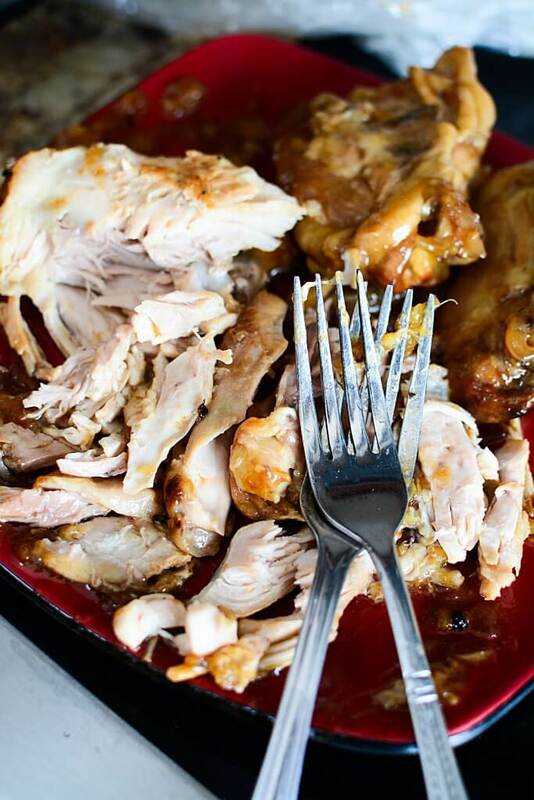 Shred the meat with two forks. Add the chicken back to the slow cooker and add the remaining teriyaki sauce. Cook for an additional 1/2 hour. I used a bone in , skin on chicken thigh because I feel the meat tastes better after cooking.